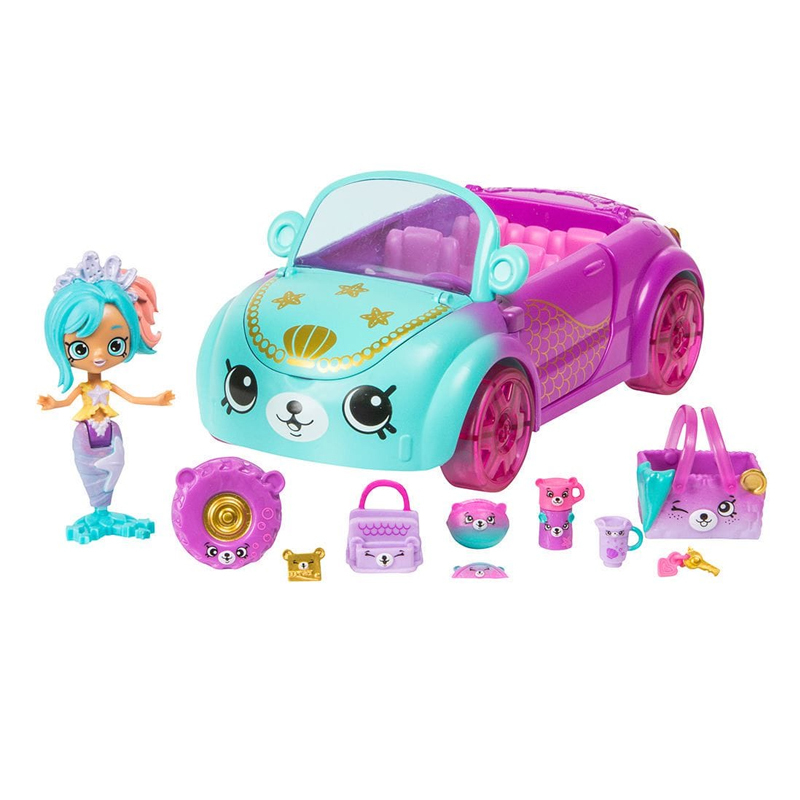 Let's dive under the sea with the Lil' Mermaids in the Mermaid Coral Cruiser. Dive in and come for a spin in the most tail splashin' convertible around. Includes opening doors, hood and trunk to store all your Picnic Petkin Accessories. There's a Picnic Blanket for the Mermaids to sit on, Watermelon to eat, Flask, Bag, Travel Mug, Key and Bank Card to pack into your Picnic Basket so you can take it to your chosen site! There's even a Petkin Spare Tire in case of emergencies! 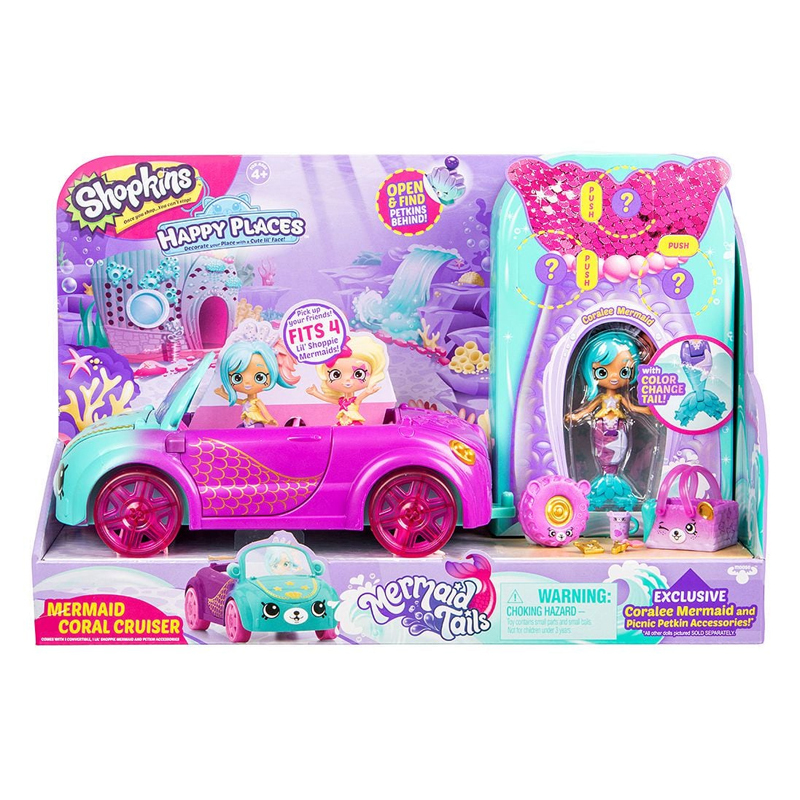 The Mermaid Coral Cruiser also comes with the exclusive Coralee Mermaid. Coralee's mermaid tail magically changes color when it's dipped it in water! 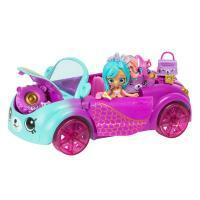 The Coral Cruiser is the perfect way for Coralee and her friends to take a ride around the reef!